February 24, 2016 - Maj. (res.) Eliav Gelman, 30, of Karmei Tzur, attempted to fire at a terrorist who charged at him with a knife at the Gush Etzion junction south of Jerusalem. He was mortally wounded by a bullet fired by IDF forces to neutralize the terrorist. Shortly after noon, Eliav Gelman was attacked by a knife-wielding terrorist while waiting for a bus at the Gush Etzion junction. He attempted to return fire. Soldiers from an IDF unit securing the junction saw a Palestinian armed with a knife charging at Gelman. They fired at the assailant, striking both him and Gelman. 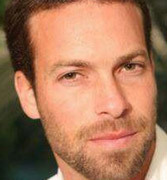 Mortally wounded, Gelman was pronounced dead at the hospital from a gunshot wound to the chest. He was posthumously elevated to the rank of Major. Eliav grew up in Kiryat Arba and studied at the Mekor Haim Yeshiva, in the Etzion bloc. About four years ago, he settled with his family in Karmei Tzur, in the southern Etzion bloc. He served in the IDF as a paratrooper, becoming an officer. He later served as a liaison officer in the Air Force, from which he was discharged several months ago with the rank of captain. Gelman’s brother Eyal described him as deeply religious, studying the Bible and Talmud every day. A neighbor related that even as a military man, the amount of time he would give his sons was extraordinary, and they were the envy of everyone around. After leaving active service, he devoted a lot of time to his two young sons. Maj. (res.) Eliav Gelman was buried in the Kfar Etzion cemetery. He is survived by his wife Rinat, seven months pregnant, their two sons, Yair (5) and Yoav (2), parents David and Sarah, and siblings.